Pat the fish dry and place the fish on top of the spring onion and ½ of the ginger slices on a steaming plate. 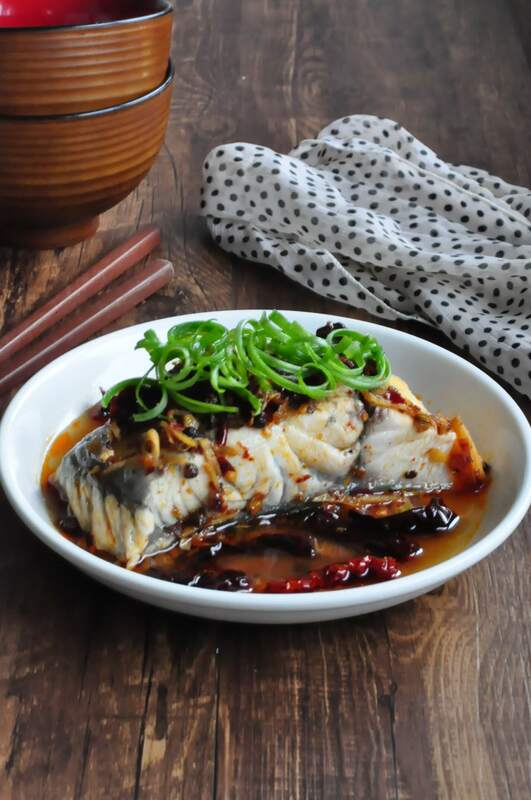 Place the remaining ginger slices on top of the fish. 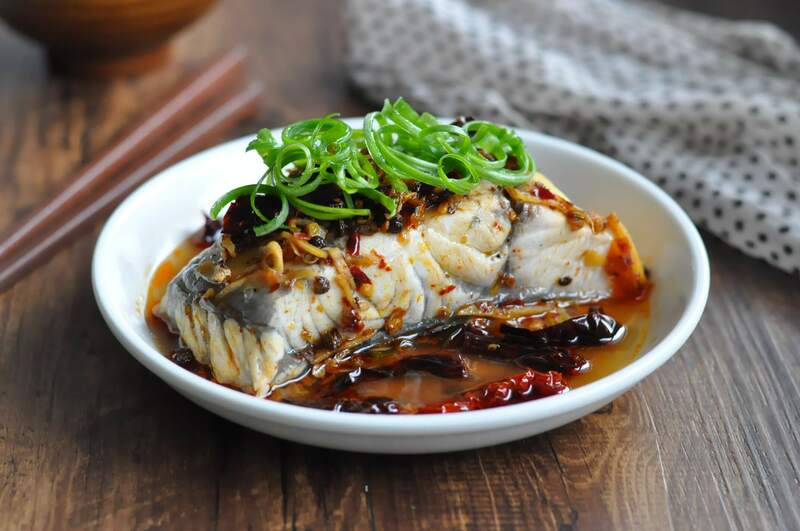 Add 1 tbsp of shaoxing wine to the fish. Place the plate in a steamer and steam on medium high heat for approx. 12-13 mins. Add the mala paste to a frying pan and stir fry with the dried chilies, minced garlic and shredded ginger till fragrant. Finish off with a dash of fish sauce. Pour the mala mixture over the steamed fish. Garnish as desired and serve hot immediately.